You are here: Home / The Y Blog / You want inspiration…we’ve got your inspiration right here! You want inspiration…we’ve got your inspiration right here! A two mile bike ride, 25 minutes on the rowing machine and use of the new exercise equipment (three times a week) is a workout schedule that would challenge many of our members. But this is exactly what Barb Zeman does…and she turned 90 years old last December! 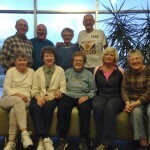 Barb (pictured seated in the middle) loves coming to the Y and says that the members and staff feel like family to her. She says the Y is her incentive to get out of bed in the morning, but she is the one who is an inspiration to all who meet her. Barb has the energy and daily agenda of a woman half her age. Every day she sets a goal of what to accomplish, on top of her THREE weekly workouts. Her daily goals include: mowing her lawn, baking cookies (135 dozen made last Christmas), and styling two elderly friends’ hair (“When I get old maybe some will do my hair” she says). She also stays busy texting, calling or visiting with her children, grandchildren and great-grandchildren. 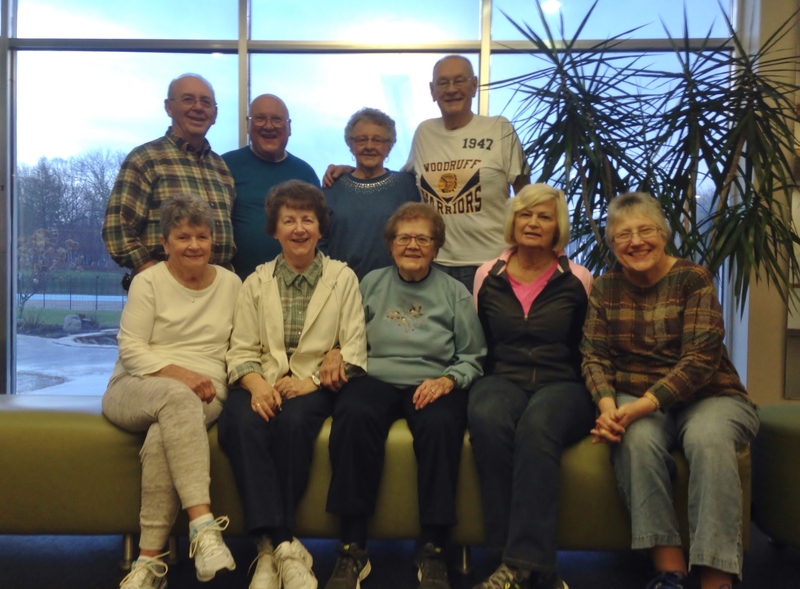 Barb is respected by all who meet her and the Peoria YMCA is lucky to call her a member!